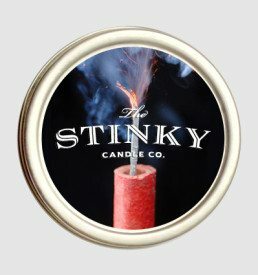 Baby Powder Candle (4 oz) - Stinky Candle Co. 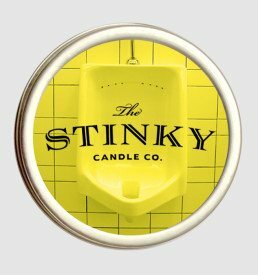 The arch-enemy of the Reststop Candle. 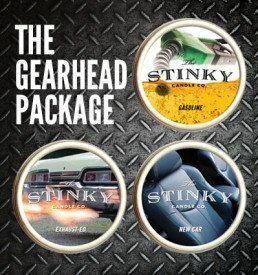 Baby powder has many uses (diaper changes, stinky feet, deodorizing animals, etc) all focused on eliminating the stench. 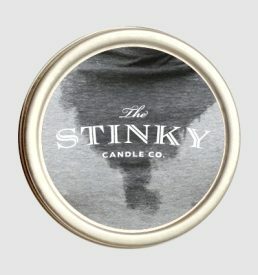 However, actual baby powder can have adverse side effects and its frequent use is questionable, so we produced this candle to do the job for you. Highly recommended between stinky candles to cleanse the Basel palette (similar to a gelato between dinner courses — smell-la-to).